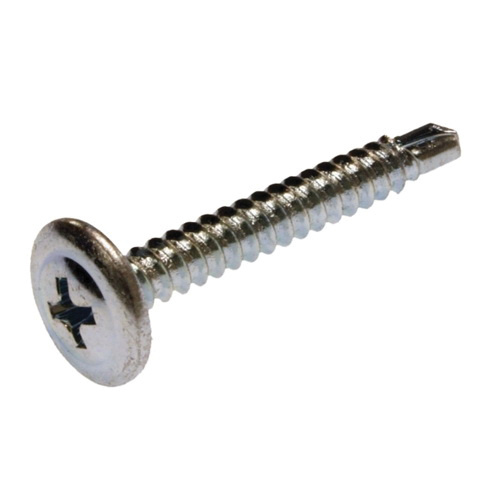 Metallics 1-Inch Self drilling tapping screw with silver wafer head, features steel construction and zinc chromate finish. Head of size 0.384 - 0.364-Inch x 0.088 - 0.102-Inch. The Phillips drill screw has nominal size of #8 Dia and offers 0.1640-Inch UNF thread connection. It is suitable for drywall applications.